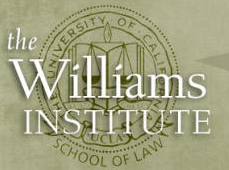 The Charles R. Williams Institute on Sexual Orientation Law is a think tank dedicated to the field of sexual orientation and gender identity law and public policy at UCLA School of Law. The Williams Institute will be celebrating its 10th anniversary with a special Founders Dinner, Gala Reception, and Conference during the weekend of April 7-9, 2011. The weekend will also feature the final argument of the 7th annual Moot Court Competition, where the two final teams will argue the question of affirmative action with respect to sexual orientation before a panel of distinguished judges including The Honorable Jack Jacobs, Justice, Delaware Supreme Court; The Honorable Rives Kistler, Associate Justice, Oregon Supreme Court; and The Honorable Alex Kozinski, Chief Judge, U.S. 9th Circuit Court of Appeals. Don’t miss this exciting weekend! For tickets and more information, see the anniversary program on the Williams institute website.